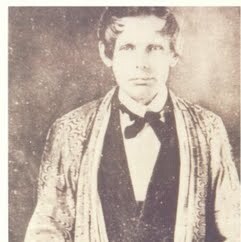 Samuel Austin Worcester, was a missionary to the Cherokee, translator of the Bible, printer and defender of the Cherokee's sovereignty. He collaborated with Elias Boudinot in the American Southeast to establish the Cherokee Phoenix, the first Native American newspaper. The Cherokees gave him the honorary name A-tse-nu-sti, which means "messenger" in English. Worcester was arrested and convicted for disobeying Georgia's law restricting white missionaries from living in Cherokee territory without a state license. On appeal, he was the plaintiff in Worcester v. Georgia, a case that went to the United States Supreme Court. Chief Justice John Marshall defined in his dicta that the federal government had an exclusive relationship with the Indian nations and recognized the latter's sovereignty, above state laws. Neither President Andrew Jackson nor the Governor of Georgia enforced it. After receiving a pardon from the governor, Worcester left Georgia on a promise to never return. He moved to Indian Territory in 1836 in the period of Cherokee removal on the Trail of Tears. His wife died there in 1839.